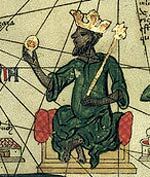 A list of famous African people who made a significant contribution to the world. 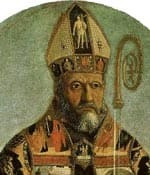 St Augustine of Hippo (354-430) Augustine was born near Hippo (modern-day Algeria). 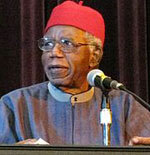 He became an influential bishop and Christian writer. Nelson Mandela (1918 – 2013) Nelson Mandela was an active member of the fight against apartheid in South Africa. Mandela was imprisoned for over 27 years for trying to overthrow the apartheid regime. He was released in 1990 and became the first democratically elected President of South Africa in 1994. 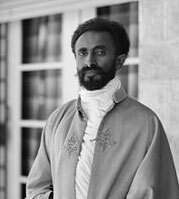 His magnanimous personality helped to heal the rift between the white and black populations. Awarded the Nobel Peace Prize in 1993. Desmond Tutu (1931 – ) South African Nobel peace prize winner 1984. Archbishop Desmond Tutu was a prominent figurehead in the campaign against apartheid. After the fall of apartheid, he took part in the Truth and Reconciliation process to heal the wounds of apartheid. Desmond Tutu has become a leading global humanitarian and ambassador of goodwill. 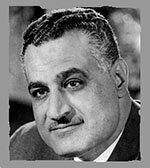 Gamal Abdel Nasser (1918 – 1970). Second President of Egypt (1956). Nasser’s Presidency had a significant influence on Egypt and world politics. He renationalised the Suez canal and was popular throughout the Arab world. 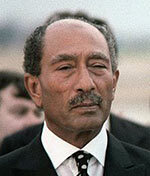 Anwar Sadat (1918 – 1981) – Third President of Egypt. Sadat reintroduced multi-party elections and led Egypt in the Yom Kippur war. 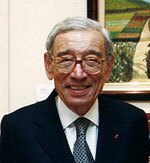 He was awarded the Nobel Peace Prize in 1978 for his role in peace talks with Israel. Oliver Tambo (1917 – 1993). 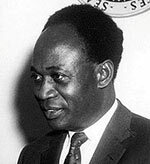 President of the ANC (1960 – 1990). 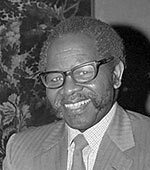 Tambo helped to organise ANC opposition to apartheid in South Africa. 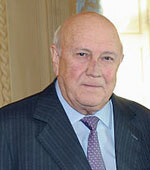 De Klerk, FW (1936 – ) South African Nobel Prize winner and President (1989-1994) De Klerk oversaw the end of white-only rule in South Africa and for his efforts was awarded the Nobel peace prize – jointly with Nelson Mandela. Cleopatra VII (70BC – 30BC) Queen of Egypt. She sought to defend Egypt from the Roman Empire, forming an alliance with Marc Anthony and Julius Caesar. 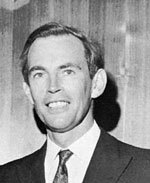 Performed the first heart transplant in 1967, Cape Town, South Africa. 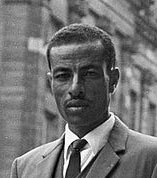 Abebe Bikila (1932-1973) (Ethiopia, athletics) Double Olympic champion at the marathon (1960 and 1964) Won the 1960 marathon running barefoot and gained the first gold medal for a black African. 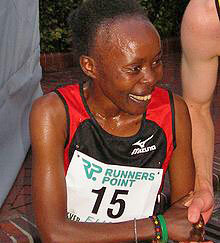 Tegla Laroupe (1973 – ) Kenyan distance runner. 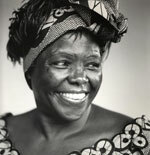 Founded the Tegla Laroupe Peace Foundation which has been active in promoting peace amongst warriors of the Kenyan bush. Haile Gebrselassie (1973 – ) Record-breaking distance runner. Gebrselassie set world records in the marathon and won numerous world champions. 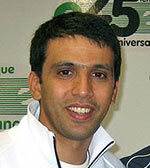 Hicham El Guerrouj (1972 – ) (Morocco, athletics) Double Olympic gold medallist in 2004 – at 1500m and 5,000m. Set world record for mile and 1500m. 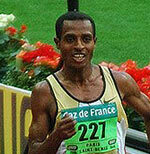 Kenenisa Bekele (1982 – ) (Ethiopia, athletics) Triple Olympic gold medallist at 5000m and 1000m. Set new World Record for 5000 metres: 12:37.35 – 10,000 metres: 26:17.53. Asbel Kiprop (1989 – ) (Kenya, athletics) Double world champion and Olympic champion (2008) in 1500m. Oscar Pistorius – multiple Olympic gold medallists in the Paralympics. Pistorius was also arrested for the murder of his girlfriend. David Rudisha. Kenyan runner. Rudish won Olympic gold in the 800 metres in 2012, with a world record time. Jacques Kallis. South African cricketer. One of best batsmen of his generation. Gary Player. South Africa. One of the most successful golf players of all time. Winner 9 major championships. Placing him 4th on the all-time list of most successful golf players. Samuel Eto’o. Cameroon football player. Yaya Toure. A football player from Ivory Coast. Didier Drogba. A football player from Ivory Coast. Azikiwe, Nnamdi – First President of modern Nigeria (1963 – 1966). Mbeki, Thabo South African Vice President. 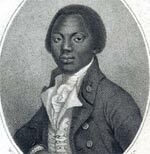 Zulu, Shaka (1787 – 1828). South African Zulu King. J.R.R. Tolkien (1892-1973). Tolkien was born in Bloemfontein, South Africa before moving back to England, where he later wrote the best-selling ‘Lord of the Rings’ trilogy. Chris Froome – The Kenyan-born Brit learnt to cycle in Kenya and later South Africa. He represented Kenya at the Commonwealth games before switching nationality. In 2012 he finished 2nd in the Tour de France, and in 2013 went on to win the Tour. David Livingstone. Famous British explorer who spent several years exploring the heart of Africa, opening up the continent to Western exploration. Clive Rhodes – British civil servant who epitomised the spirit of the British Empire. 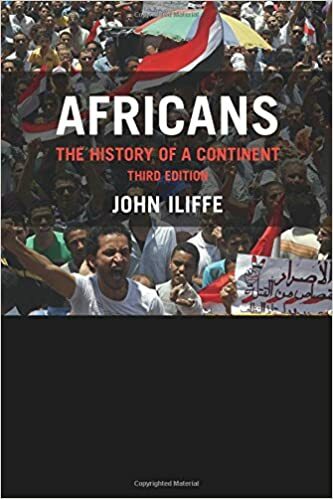 Rhodes was committed to conquest and taking Africa to be owned by the British Empire. Mohamed “Mo” Farah. Born in Somalia, Mo Farah moved to England and became a double Olympic champion in 2012 and 2016. Citation: Pettinger, Tejvan. “Famous Africans”, Oxford, UK. www.biographyonline.net. Published 11th October 2013. Last updated 1 March 2018.